Very well-maintained home located within the beautiful Auburn Lake Trails community! 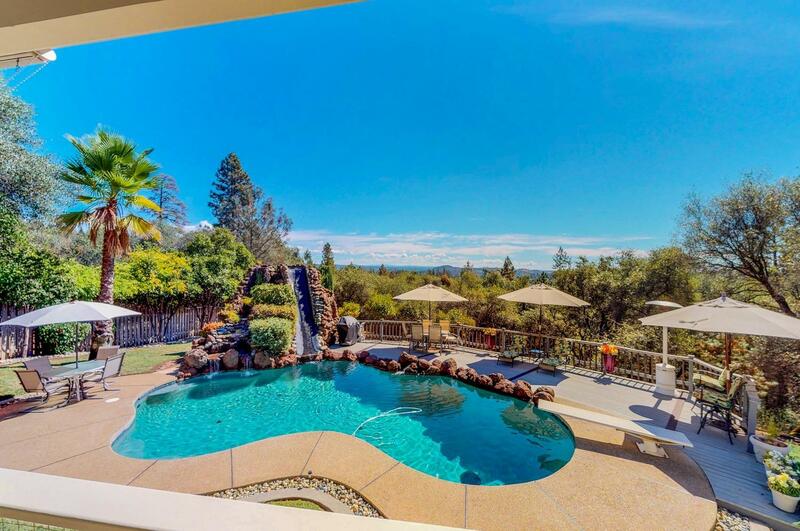 Enjoy a stunning pool & private backyard, looking out on gorgeous views. An extensive deck runs along the entire length of the home & around the pool, complete with enclosed area for all weather enjoyment! Living room has high vaulted ceilings & many windows to enjoy the view! This home also has two master suites plus an office/optional 4th bedroom! All inclusive golf, pool, tennis & trails within the community.